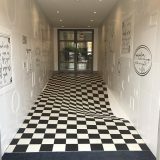 In the late 19th century, Quaker Oats released a pamphlet with an optical illusion on the cover. 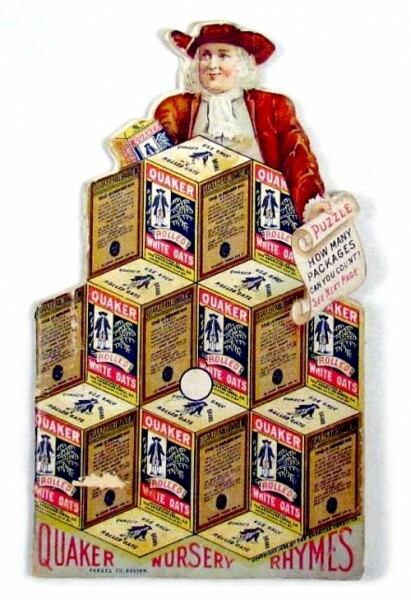 The paper that the Quaker Man is holding below reads , “How many packages can you count?” Do you see six or seven packages of Quaker White Oats?  Both answers are correct depending on how you look at this ambiguous drawing.